Ce document au format PDF 1.2 a été généré par Microsoft Word 8.0 / Acrobat Distiller 4.05 for Windows, et a été envoyé sur fichier-pdf.fr le 25/02/2014 à 14:28, depuis l'adresse IP 212.198.x.x. La présente page de téléchargement du fichier a été vue 528 fois. Taille du document: 62 Ko (23 pages). As amended by Central Act 26 of 1982. Duties of persons having charge of animals. 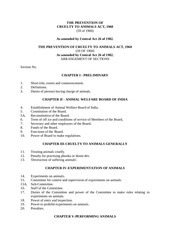 Establishment of Animal Welfare Board of India. Secretary and other employees of the Board. 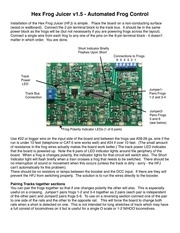 Power of Board to make regulations. Penalty for practising phooka or doom dev. Committee for control and supervision of experiments on animals. Power to prohibit experiments on animals. 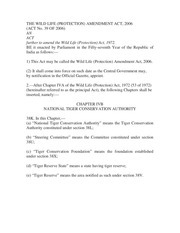 Restriction on exhibition and training of performing animals. Power of court to prohibit or restrict exhibition and training of performing animals. Saving as respects manner of killing prescribed by religion. Power of court to deprive person convicted of ownership of animal. Presumptions as to guilt in certain cases. Powers of search and seizure. General Power of seizure for examination. Treatment and care of animals. Rules and regulations to be laid before Parliament. Persons authorised under section 34 to be public servants. Repeal of Act 11 of 1890.
purpose to amend the law relating to the prevention of cruelty to animals. of Cruelty to Animals Act, 1960.
whether with or without the consent of the owner. space, whether a thoroughfare or not to which the public have access. dispose of property and may by its name sue and be sued. Sabha) and two by the Council of States (Rajya Sabha). Prevention of Cruelty to Animals (Amendement) Act, 1982). term for which the Board has been so reconstituted. removal shall be treated as casual vacancy for the purpose of clause (c). shall appoint 10xxxxx the Secretary of the Board. approval of the Central Government. gifts and the like made to it by any local authority or by any other person. either instantaneously or after being rendered insensible to pain or suffering. prevention of infliction of unnecessary pain or suffering on animals. 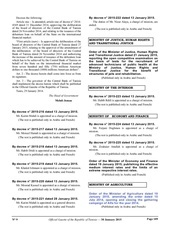 administration of its affairs and for carrying out its functions. imprisonment without the option of a fine. operation was performed shall be forfeited to the Government. of the animal, if in his opinion, it would be cruel to keep the animal alive. suffering or for combating any disease, whether of human beings, animals or plants. non-officials, as it may think fit to appoint thereto. the performance of its duties. bequests, gifts and the like made to it by any person. relation to the conduct of such experiments. authorised to give such direction. institutions in which experiments are performed. subject to such special conditions as the Committee may think fit to impose. and &quot;trainer&quot; have respectively the corresponding meanings. exhibited or trained as a performing animal. court under this Chapter, is not entitled to be so registered. maintained by the prescribed authority. containing the particulars entered in the register. varied, the existing certificate shall be cancelled and a new certificate issued. imposing such conditions in relation thereto, as may be specified by the order. animal as it thinks fit under the circumstances. owner, is likely to be exposed to further cruelty. thinks fit of any animal of any kind or species specified in the order. shall be punishable with fine which may extend to one hundred rupees, or. with imprisonment for a term which may extend to three months, or with both. cognizable offence within the meaning of that code. used or intended to be used in the commission of such offence. thereof to accompany it to the place of examination. therein of any animal pending its production before a magistrate. removed without cruelty, that it shall be destroyed. this behalf by rules made under this Act. that the proceeds of the same be applied to the payment of such cost. the owner within two months from the date of the sale be paid to him. carry out the purposes of this Act. any other matter which has to be, or may be prescribed. servant within the meaning of section 21 of the Indian Penal code. provision so coming into force, shall thereupon stand repealed. of Andaman and Nicobar Islands on the 1st April, 1961 vide Notification No. 9-2/61-LD of the Ministry of Food and Agriculture. Subs. by Act. 26 of 1982 which came into force on 30th July 1982. Subs. by Act 26 of 1982; S.3, for the words &quot;Animal Welfare Board&quot;. Sub-ibid, SA for the words &quot;Animal Welfare Board&quot;. Subs. - ibid S. 5 (a) (ii) for the original clause. Subs. ibid, S.5 (c) for the original clause. Subs., by Act 26 of 1982, S.7, for the original Section. Subs. ibid S.10 (a) (ii) for the words &quot;any domestic or captive animal&quot;. Subs, ibid S. 10 (a) (ii) for the words &quot;any captive animal&quot;. Subs. by Act 26 of 1982, S. 10 (a) (iv) for the original clause. Subs. ibid. 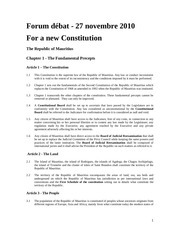 S. 10 (a) (v) for the original clause. offence&quot; and ending with the words &quot;or with both&quot;. Ins. by Act 26 of 1982, S. 13. 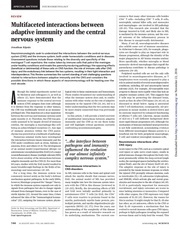 Ins. by Act 26 of 1982, S. 14. Subs. by Act 26 of 1982 S. 15 for the words &quot;doom dev&quot;. The words &quot;terms and&quot; omitted by Act 26 of 1982, S. 16 (a) (i). Ins ibid S. 16 (a) (H). Ce fichier a été mis en ligne par un utilisateur du site. Identifiant unique du document: 00225346.